The MMA studio and fitness center offers full-contact training for all ages. DOWNEY – The Warren High School girls’ soccer program began its summer soccer camp on Monday and the camp concluded today. The camp ran daily from 8-11 a.m. on the soccer field. Coach Dussan is extremely proud of her annual summer camps and for the continued participation of so many young soccer players. For the past four years, each of the Warren High School girls’ summer soccer camps has had more participants. This year, 80-plus girls have signed up and showed up to join the camp. Warren’s entire staff of seven soccer coaches were helping out with this camp. Coach Dussan maintains that her camp continues to grow due to the on the field success of the Warren High School girls’ soccer team. The Lady Bears have won four straight San Gabriel Valley League championships. Warren finished last season with an overall record of 21-3 and had a S.G.V.L. record of 10-0. For their efforts, the Lady Bears are the 2018 S.G.V.L. champions. Warren defeated Rosary Academy 0-0 (3-0 on penalty kicks) in the first round of the C.I.F. Division 2 playoffs to advance to the second round. The Lady Bears were then eliminated by San Luis Obispo 2-1 in the second round. Warren finished last season ranked 130 nationally and 54th in the state. Coach Dussan and her staff would like to thank all those young ladies who participated in the Warren High School girls’ summer soccer camp and invite you back for next year’s camp. DOWNEY SUMMER: Downey High School’s summer sports camps started this week. The week started Monday with an introduction to the athletic and team camps being offered this summer. The Donna Boose Gymnasium was open from 9-11 a.m. for future Vikings curious about the sports programs being offered. The current camps being offered this summer at Downey High School include: football, volleyball, tennis, basketball, golf, soccer, baseball, water polo, lacrosse, cross-country, softball, cheer and dance. There are certainly plenty of sports programs to choose from. Physicals were offered from MVP Family Practice for $20, there was an informal meet and greet with current Downey coaches, a tour of athletic facilities was offered and summer and tryout information was made available. The Downey High School website also contains information regarding schedules, the 2018-19 athletic clearance directions and more summer and team tryout information. The athletic director at Downey High School is Mark Rand and he can be contacted via email at mrand@dusd.net or by phone at (562) 869-7301, extension 5489. WARREN ORIENTATION: The Warren High School Athletics Program hosted its annual incoming freshmen orientation on Monday morning in the Warren High School gymnasium. Many prospective student-athletes were in attendance, finding out what they needed to do in order to participate on a sport’s team this upcoming year. Parents and future athletes were welcomed and encouraged to attend the orientation. The event featured an informational meeting, followed by campus tours, camp sign-ups with all coaches, summer and tryout information and a free barbeque complete with games and prizes. The current camps being offered this summer at Warren High School include: football, volleyball, tennis, basketball, golf, soccer, baseball, water polo, cross-country, softball, and cheer. There were certainly plenty of sports programs to choose from. Athletic physicals were done for $20 at the event in which $10 was donated back to the respective program. Physical forms were available before the event and online at www.warren.dusd.net. Further questions about Warren athletics may be directed to Warren High School Athletic Director Russ Heicke at rheicke@dusd.net or by telephone at (562) 869-7306, extension 5806. DOWNEY SOCCER: The Downey High School boys’ soccer program started Tuesday and is scheduled for three weeks. The camp will run Tuesday-Friday, June 5-8, Tuesday-Thursday, June 11-13, and Tuesday-Thursday, June 25-27, from 8-10 a.m. daily. The cost is $160 for boys in grades 8-12 and $100 for boys and girls in grades 1-7. Camp will be held on the football field at Downey High School. Head coach Marvin Mires can be contacted at (310) 993-4342 or by e-mail at mmires@dusd.net, downeysoccer.com on Instagram at: @DowneySoccer or on Twitter @Downey_Soccer with further questions. Coach Mires and his staff hope to see you on the pitch for camp this summer for soccer camp. DOWNEY LACROSSE: The Downey High school girls’ lacrosse program also started Tuesday and is scheduled for seven weeks. The camp will run Tuesday -Thursday, June 5-7, Monday-Thursday, June 11-14, Monday-Thursday, June 18-21, and Monday-Thursday, June 25-28. The camp will continue Monday-Tuesday, July 2-3, Monday-Thursday, July 9-12 and Monday-Thursday, July 16-19. Cost is $160 for girls in grades 8-12 and $100 for girls in grades 1-7. The camp will also be held on the football field at Downey High School. Head coach Marvin Mires can be reached at the same phone number and district e-mail mentioned above. Mires can also be contacted at DowneyLacrosse.com on Instagram @Downey_Lacrosse or on Twitter @DowneyLacrosse. DOWNEY – The Warren High School baseball team currently has an overall record of 18-8 and is 6-3 in San Gabriel Valley League play. The Bears were defeated by cross-town rival Downey at Downey last Friday, 3-2, in the away game of their home and away series. Warren will finish third in league play behind Gahr (8-1) and Downey (8-1), respectively. The Bears defeated Dominguez at Dominguez on Tuesday and hosted the Dons at Warren yesterday in their league and regular season finale (score unavailable at press time). Warren will qualify for postseason play and will find out who and where they play this weekend when the C.I.F. Division 3 playoff brackets are released. Coach Pearson, his staff and players are all looking forward to finishing league play strong and making a nice run in postseason play. WARREN SOFTBALL: The Warren High school softball team currently has an overall record of 16-12 and is 5-4 in San Gabriel Valley League play. The Bears were defeated by cross-town rival Downey at Downey, 3-2, on Monday. Warren hosted Dominguez at Warren on Wednesday in their league and regular season finale (score unavailable at press time). The Bears will finish third in S.G.V.L. play behind Gahr (9-0) and Downey (8-1), respectively. The Bears qualified for C.I.F. Division 2 postseason play and will find out who and where they play this weekend when playoff brackets are released. Coach Starksen, her staff and players are all looking forward to finishing league play strong and making a nice run in C.I.F. Division 2 postseason play. DOWNEY BOYS VOLLEYBALL: The Downey High School boys’ volleyball team currently has an overall record of 22-4-1 and finished San Gabriel Valley League play with a record of 10-0. The Vikings hosted West Torrance at Downey on Tuesday in the first round of the C.I.F. Division 3 playoffs and defeated the Warriors 3-0 (25-14, 25-17 and 25-20). Downey hosted Foothill Tech of Ventura yesterday in the second round (score unavailable at press time). The Dragons are the Tri-Valley League champions and currently have an overall record of 22-6 and finished league play with a record of 14-0. Foothill Tech defeated Morro Bay at Foothill Tech on Tuesday 3-0 (25-16, 25-22 and 25-14) in the first round to advance and is currently on a 14-match win streak. Coach McCarthy, his staff and players are all excited about competing in postseason play. Bears hosted Burbank at Warren on Tuesday in the first round of the C.I.F. Division 2 playoffs and defeated the Bulldogs 3-1 (25-19, 31-33, 27-25 and 25-19). Warren hosted Arroyo Grande yesterday in the second round (score unavailable at press time). The Eagles were the second place team from the Pac-8 League and currently have an overall record of 23-6 and were 10-2 in league play. Arroyo Grande defeated Oxnard 3-0 (26-24, 25-23 and 25-15) in the first round to advance and have won seven of their last eight matches. Coach Lane, his staff and players are all excited about competing in postseason play. DOWNEY BASEBALL: The Downey High School baseball team currently has an overall record of 16-12 and is 8-1 in San Gabriel Valley League play. Downey defeated Warren at Downey last Friday, 3-2, in the home game of their away and home series. As of Friday, the Vikings had won ten games in a row. Downey’s last loss was against Oaks Christian 4-2 on April 4. The Vikings were defeated by Gahr at Gahr on Tuesday, 9-4, thus ending their 10-game win streak. The loss to Gahr marked the first league loss for Downey. The Vikings played for the outright S.G.V.L. championship yesterday against Gahr at Downey in the second game of their away and home series (score unavailable at press time). As of this Wednesday, Gahr was 18-8 overall and 8-1 in league play and cross-town rival Warren was 18-8 overall and 5-4 in league play. Downey has qualified for postseason play with their impressive run in league play. The C.I.F. Division 3 bracket will be released this weekend and the playoffs will start early next week. Coach Gonzalez, his staff and players are all looking forward to finishing league play strong and making a deep run in C.I.F. postseason play. DOWNEY SOFTBALL: The Downey High School softball team currently has an overall record of 22-6 and is 8-1 in San Gabriel Valley League play. The Lady Vikings defeated Warren at Downey on Monday, 3-2, and hosted Gahr at Downey on Wednesday (score unavailable at press time). The game at Downey on Wednesday was for a share of the S.G.V.L. championship. As of Wednesday morning, Gahr was 21-4 overall and 9-0 in league play and cross-town rival Warren was 16-12 overall and 5-4 in league play. The Lady Vikings are currently on a six-game win streak. Downey is currently ranked 41st in California and Gahr is ranked 14th. Wednesday’s game at Downey was a huge game for head coach Ed Garcia, his staff and the entire Downey High School softball program. MIDDLE SCHOOL TRACK AND FIELD: The middle school track and field season continued last Thursday afternoon when Stauffer and Sussman traveled to Downey and Doty and Griffiths traveled to Warren. At Downey, the Sussman 8th grade boy track and field team defeated Stauffer 68-18, the Stauffer 7th grade boy track and field team defeated Sussman 51-35 and the Stauffer 6th grade boy track and field team defeated Sussman 51-35. The Stauffer 8th grade girl track and field team defeated Sussman 45-40, the Sussman 7th grade girl track and field team defeated Stauffer 56-30 and the Stauffer 6th grade girl track and field team defeated Sussman 46-40. At Downey, the Doty 8th grade boy track and field team defeated Griffiths 71-15, the Doty 7th grade boy track and field team defeated Griffiths 68-18 and the Doty 6th grade boy track and field team defeated Griffiths 68-18. The Doty 8th grade girl track and field team defeated Griffiths 63-23, the Doty 7th grade girl track and field team defeated Griffiths 46-40 and the Doty 6th grade girl track and field team defeated Griffiths 72-13. The third and final week of dual meet competition took place yesterday as Griffiths and Stauffer traveled to Warren and Doty and Sussman traveled to Downey (results unavailable at press time). All four Downey Unified middle schools will now compete against each other at the all-city track and field meet. The all-city track and field meet will be held at Downey High School next Friday, May 18th. DOWNEY -- CABA Basketball league is getting ready to kick off their upcoming Spring/Summer 2018 season. CABA is an adult basketball league for ages 21 and older. Each season is about three months long and games are played on Mondays and/or Thursday nights with both Advanced and Intermediate divisions available. New teams are now forming so inquire today and join the CABA family. Look them up on Facebook at CABA Basketball League or email them today at CABAbasketball@gmail.com for more info. DOWNEY – The Downey High School boys’ volleyball team currently has an overall record of 21-4-1 and a San Gabriel Valley League record of 10-0. The Vikings are the 2018 S.G.V.L. champions. Downey defeated Warren at Downey last Thursday 3-1 (25-17, 25-18, 24-26 and 25-18) and defeated Gahr at Downey on Tuesday 3-1 (25-19, 25-14 and 25-13). Coach McCarthy, his staff and players will now wait to see who they host in the first round of the C.I.F. Division 3 playoffs. The Vikings are currently ranked 5th in C.I.F. Division 3 and 80th in California. DOWNEY BOYS BASEBALL: The Downey High School boys’ baseball team currently has an overall record of 15-11 and are 7-0 in San Gabriel Valley League play. Downey defeated Warren at Warren on Tuesday 1-0 and will host the Bears at Downey later today to complete the away and home series. The Vikings will conclude S.G.V.L. play when they travel to Gahr on Tuesday and when they host Gahr next Thursday. The league title will certainly be on the line next week when these two teams play each other. Coach Gonzalez, his staff and players are looking forward to winning a league championship, qualifying for postseason play and making a deep run in the C.I.F. Division 3 playoffs. DOWNEY SOFTBALL: The Downey High School softball team currently has an overall record of 20-6 and is 6-1 in San Gabriel Valley League play. The Lady Vikings defeated Dominguez at Downey, 19-0, on Tuesday and traveled to Lynwood yesterday (score unavailable at press time). The Lady Vikings will host cross-town rival Warren at Downey on Monday and will host Gahr at Downey next Wednesday in their league and regular season finale. The S.G.V.L. championship will certainly be on the line next week. Downey is currently ranked 37th in California and first in C.I.F. Division 4. Coach Ed Garcia has done an outstanding job in his first season as the varsity head coach. WARREN BASEBALL: The Warren High School baseball team currently has an overall record of 18-7 and is 5-2 in San Gabriel Valley League play. The Bears were defeated by cross-town rival Downey at Warren on Tuesday 1-0 and will travel to Downey later today for their highly anticipated rematch. Warren will travel to Dominguez next Monday and will host the Dons on Wednesday in their league and regular season finale. Coach Pearson, his staff and players are all looking forward to finishing league play strong and making a run in the C.I.F. Division 3 playoffs. WARREN BOYS VOLLEYBALL: The Warren High School boys’ volleyball team finished their regular season with an overall record 16-5 and a San Gabriel Valley League record of 8-2. The Bears defeated Dominguez at Warren 3-0 on Tuesday in their league and season finale. Warren finished second in league play behind cross-town rival Downey (10-0). Coach Scott Lane, his staff and players are all looking forward to making a run in the C.I.F. Division 3 playoffs. WARREN SOFTBALL: The Warren High School softball team currently has an overall record of 16-10 and a San Gabriel Valley League record of 5-2. As of Wednesday, the Bears are currently in third place behind Gahr (7-0) and Downey (6-1), respectively. Warren hosted Gahr at Warren on Thursday (score unavailable at press time), will travel to cross-town rival Downey on Monday and will conclude their league and regular season finale against Dominguez at Warren next Wednesday. Coach Starksen, her staff and players are all looking forward to finishing league play strong and making a run in the C.I.F. Division 2 playoffs. DOWNEY SOCCER: The Downey High School boys’ soccer program will be conducting a free soccer clinic tomorrow, May 5, from 9 a.m. to noon. The clinic is designed for boys and girls ages 6-14 and will be held on the football field at Downey High School. Head soccer coach Marvin Mires is planning five free soccer clinics like this one this year. The clinic will focus on soccer fundamentals, specifically on body positioning when receiving a ball. Other clinic features will include passing, individual skill drills, scrimmages and games. The clinic will feature at least two coaches from the L.A. Galaxy Academy. Andrew May will be featured from the Galaxy Academy as will Ruben Messina. May is the U-15 head coach and Messina is the goalkeepers coach. The two coaches will be at the clinic to work with young student-athletes. The Downey High School soccer team is the 2018 S.G.V.L. champion and three players from that team are being looked at by four-year universities. David Aguilera has been shown interest by Marymount University, Sebastian Perez has been shown interest by U.C. Irvine and Nicholas Campbell has been shown interest by U.C. Davis. The future is quickly approaching for these young men. Marvin Mires can be contacted at 310-993-4342 or at mmires@dusd.net. Mires may also be contacted at DowneySoccer.com, on Twitter: @Downey_Soccer or on Instagram: @DowneySoccer. Coach Mires and his staff hope to see you at Downey High School tomorrow morning at 9 am. MIDDLE SCHOOL TRACK AND FIELD: The middle school track and field season began last Thursday afternoon when Griffiths and Sussman traveled to Warren and Doty and Stauffer traveled to Downey. At Warren, the Sussman 8th grade boy track and field team defeated Griffiths 58-28, the Griffiths 7th grade boy track and field team defeated Sussman 70-16 and the Griffiths 6th grade boy track and field team defeated Sussman 52-34. The Sussman 8th grade girl track and field team defeated Griffiths 51-35, the Griffiths 7th grade girl track and field team defeated Sussman 54-32 and the Sussman 6th grade girl track and field team defeated Griffiths 69-17. At Downey, the Doty 8th grade boy track and field team defeated Stauffer 74.5-11.5, the Doty 7th grade boy track and field team defeated Stauffer 72-14 and the Doty 6th grade boy track and field team defeated Stauffer 73-13. The Doty 8th grade girl track and field team defeated Stauffer 60-26, the Doty 7th grade girl track and field team defeated Stauffer 76-10 and the Doty 6th grade girl track and field team defeated Stauffer 77-9. The second week of dual meet competition took place yesterday as Doty and Griffiths traveled to Warren and Stauffer and Sussman traveled to Downey (results unavailable at press time). The third and final week of dual meet competition will take place next Thursday when Griffiths and Stauffer travel to Warren and Doty and Sussman travel to Downey. The all-city track meet will be held at Downey High School on Friday, May 18. DOWNEY – The annual Downey vs. Warren Classic track and field meet took place at Warren High School this past Monday afternoon and the two schools battled the entire meet in both the boys’ and girls’ events. The Downey boys’ track and field team narrowly defeated Warren, 70-66, and the Downey girls’ team defeated the Warren girls’ team, 73-63. The Downey boys’ track and field team won eight of the 16 events competed in. Downey won the 400 meter run, the 100 meter run, the 200 meter run and the long jump. The Vikings also won the high jump, pole vault, shot put and discus. Downey’s Noah Skobis won the 400 meter run in a time of 51.60 and also won the 100 meter run in a time of 11.35. Downey’s Mario Marsetti won the 200 meter run in a time of 23.12. Eric Lee of Downey won the long jump with a jump of 20’ 2½ inches, Downey’s Marcelle Logan won the high jump with a jump of 5’8 and Downey’s Ramon Chavez won the pole vault with a jump of 12’6. Downey’s Jose Cisneros won the shot put with a throw of 44’ feet and also won the discus throw with a toss of 153’6 feet. Viking coach Robert Gleason and his staff are extremely proud of how hard their team competed and their resulting win. Meanwhile, the Lady Vikings came away with a hard fought, 73-63 win. Downey won nine of the 16 events competed in. The Downey girls won the 4X100 meter relay, the 100 meter run and the 800 meter run. Downey won the 300 meter hurdles, the 200 meter run and the 4X400 meter relay. The Lady Vikings also won the long jump, the triple jump and the high jump. Downey won the 4X100 meter relay in a time of 50.99. Bryanna Anderson of Downey won the 100 meter run in a time of 13.17 and Lady Viking Laura Velasco won the 800 meter run in a time of 2:23.89. Downey’s Rachel Spinosa won the 300 meter hurdles in a time of 49.92, Chiamaka Ikejiofor of Downey won the 200 meter run in a time of 26.95 and Downey won the 4X400 relay in a time of 4:12.50. Lady Viking Arriyon White won the long jump with a jump of 16’8 and also won the triple jump with a jump of 36’3. Downey’s Chiamaka Ikejiofor won the high jump with a jump of 4’10. Lady Viking coach Amy Overgaau and her staff are extremely proud of the Downey girls’ effort and result. League Finals and C.I.F. competition are right around the corner. Despite the loss, Warren won seven of the 16 events competed in. The Lady Bears won the 1600 meter run, the 100 meter hurdles and the 400 meter run. Warren also won the 3200 meter run, the pole vault, the shot put and the discus. Lady Bear Nadine Gomez won the 1600 meter run in a time of 5:27.08. Warren’s Alanna Burton won the 100 meter hurdles in a time of 17.06, the Lady Bears’ Keanna Daramola won the 400 meter run in a time of 1:03.91 and Warren’s Nadine Gomez won the 3200 meter run in a time of 11:48.22. Warren’s Alanna Burton won the pole vault with a jump of 8’ feet, Lady Bear Cyrena Chavers won the shot put with a throw of 38’11 and Warren’s Cassidy Arias won the discus with a throw of 118’2. Warren’s boys team won eight of the 16 events competed in. The Bears won the 4X100 meter relay, the 1600 meter run and the 110 meter hurdles. The Bears won the 800 meter run, the 300 meter hurdles and the 3200 meter run. Warren also won the 4X400 meter relay and the triple jump. Warren boys won the 4X100 meter relay in a time of 44.32. Antonio Munoz of Warren won the 1600 meter run in a time of 4:36.13 and Daetron Caldwell of Warren won the 110 hurdles in a time of 16.60. The Bears’ Adan Castellanos won the 800 meter run in a time of 2:01.41, Daetron Caldwell of Warren won the 300 meter hurdles in a time of 42.47 and the Bears’ Emiliano Rodriguez won the 3200 meter run in a time of 10:00.49. Warren won the 4x400 relay in a time 3:34.16 and the Bears’ Jonathan Alvarez won the triple jump with a jump of 40’ feet. Bear coach Ramon Miranda is pleased with his team’s effort but disappointed with the result. League Finals and C.I.F. competition are coming up and the “Classic” is always an excellent preparation event. These two schools will compete against each other again at League Finals on May 4. NORWALK -- Elijhaa and Rashaad Penny hosted a free football camp at Excelsior High School last Saturday, drawing hundreds of local youth to work on various football drills with the former Norwalk Lancers turned pros. The 2 Cents Foundation, founded by the Penny family, invited children from the ages of 5 to 11 to meet and practice with the football stars and their closest friends and family. For the second half of the day, the Pennys worked with the 12 to 17-year-olds. “Norwalk is home,” said Rashaad in a brief interview. He said they organized the event to give back to the community that his family is so deeply embedded in. The two brothers are both expected to play in the NFL next season. Elijhaa is currently on the Arizona Cardinals while his younger brother is projected as a top 5 running back in this year’s draft. I believe Rashaad could be the steal of the entire draft as he is projected to be picked up in the second or third round. He is a dynamic kick returner and explosive running back. It's his innate vision and decisiveness that has made him one of the best backs and return specialists in the nation. Even though Rashaad only carried the workload for one year, his senior season, his impressive stats paired with his combine performance makes him worthy of a first round selection. He ran a 4.46 40-yard dash and added an impressive broad jump of 120 inches. He is just shy of 6 feet tall and every ounce of 220 pounds. His frame and fresh legs should equate to a long productive career. But he is still being overlooked by many, but they are going to be in for a surprise once he gets a chance to prove himself. He kind of reminds me of last year’s Offensive Rookie of the Year, Alvin Kamara who surprised everyone as he scorched the league with the Saints who picked him up in the third round. He will just need to improve his hands if he wants to and start right away. DOWNEY – The Downey High School softball team currently has an overall record of 15-5 and are 3-0 in San Gabriel Valley League play. For their hard work this season, the Lady Vikings are currently ranked 40th in California and 1st in C.I.F. Division 4. The Lady Vikings defeated Paramount at Downey, 10-1, on April 10, defeated Dominguez at Dominguez, 20-1, on April 12 and defeated Lynwood at Downey, 10-0, on Tuesday. Downey was defeated by La Serna, 3-0, and defeated Santa Fe, 12-2, in non-league play at the La Mirada Tournament last Saturday. Downey played cross-town rival Warren at Warren yesterday (score unavailable at press time) and will travel to Paramount to face the Lady Pirates next Thursday. The Lady Vikings will host Dominguez on May 1 and will travel to Lynwood to face the Lady Knights on May 3. Downey will also be competing in the Brea-Olinda Tournament next weekend where they are scheduled to play a “To Be Determined” opponent and host school Brea-Olinda at 11 a.m.
Coach Ed Garcia, his staff and players are all looking forward to finishing league play strong, competing for a league championship and making a deep run in the C.I.F. Division 4 playoffs. Gahr and cross-town rival Warren are certainly the teams to watch out for in S.G.V.L. play. Things will definitely get interesting once these three teams play one another. WARREN SOFTBALL:The Warren High School softball team currently has an overall record of 11-6 and are 2-1 in San Gabriel Valley League play. The Bears defeated Lynwood at Warren, 16-0, on April 4 and defeated Paramount at Warren, 6-2, on April 12. Warren was defeated in a nail-biter at Gahr, 10-9, on Tuesday. The loss to Gahr on Tuesday was Warren’s first league loss. As of Wednesday, Downey is 3-0, Gahr is 3-0, Warren is 2-1, Paramount is 1-2, Lynwood is 0-3 and Dominguez is 0-3. Things will certainly tighten up once Downey, Gahr and Warren play one another. Warren is currently ranked 112th in California and 17th in C.I.F. Division 2. The Bears competed in the La Mirada Tournament last Saturday and defeated Chino in their first game 8-0 at 11 a.m. and defeated Bishop Amat, 11-2, in their second game at 3 p.m.
Warren hosted Downey at Warren yesterday in their much anticipated cross-town rivalry game (score unavailable at press time). The Bears will compete in the Thousand Oaks Tournament tomorrow against “To Be Determined” opponents and will return next Saturday for two more games. The Bears will travel to Dominguez next Tuesday, will host La Serna at Warren next Wednesday and will travel to Lynwood to play the Lady Knights next Thursday. Coach Starksen, her staff and players are all looking forward to finishing league play strong, competing for a league title and making a deep run in postseason play. WARREN HIGH BASEBALL: The Warren High School baseball team currently has an overall record of 16-5 and are 5-0 in San Gabriel Valley League play. The Bears defeated Lynwood at Lynwood, 12-0, on April 10 and defeated Lynwood at Warren, 14-0, on April 13. Warren defeated Paramount at Warren, 7-3, on Tuesday and will play the Pirates later today at Paramount to complete their home and away series. Warren swept a double header from Valley Christian at Valley Christian last Saturday, 13-7, in the first game and 7-0 in the second game. The Bears will travel to Gahr next Tuesday and will host the Gladiators next Friday at Warren. Warren will host cross-town rival Downey at Warren on May 1 and will travel to Downey for their much anticipated second game on Friday, May 4. The Bears will travel to Dominguez on May 8 and host the Dons on May 10 in their regular season finale. Gahr is currently 5-0 in S.G.V.L. play, Warren is 4-0, Downey is 2-0, Paramount is 0-3, Dominguez is 0-2 and Lynwood is 0-4. Things will certainly heat up once the current frontrunners of Downey, Gahr and Warren start playing each other. The Bears are currently ranked 225 in California and 20th in C.I.F. Division 3. Coach Pearson, his staff and players are all looking forward to finishing league play strong, competing for a league championship and making a deep run in C.I.F. postseason play. DOWNEY BOYS VOLLEYBALL: The Downey High School boys’ volleyball team currently has an overall record of 15-3 and is 6-0 in San Gabriel Valley League play. The Vikings defeated Warren at Warren 3-1 (33-35, 25-19, 25-19 and 25-22) on April 10, defeated Gahr at Gahr 3-0 (25-19, 25-23 and 25-17) on April 12 and defeated Paramount at Paramount 3-0 (25-13, 25-20 and 25-15) on Tuesday. The Vikings hosted Dominguez at Downey yesterday (score unavailable at press time), will travel to Lynwood next Tuesday and will host cross-town rival Warren at Downey next Thursday in their rematch. Downey will conclude its regular season schedule when they host Gahr at Downey on May 1. Downey is currently 6-0 in league play, Warren is 5-0, Gahr is 2-2, Paramount is 2-3, Lynwood is 2-5 and Dominguez is 0-5. Much will be determined when Downey and Warren play each other next Thursday at Downey. Downey currently has the inside track to the league title but Warren can spoil that with a second round league win against the Vikings. Coach McCarthy, his staff and players are all looking forward to finishing league play strong and sweeping the season series against Warren. The Vikings are currently ranked 71st in California and 4th in C.I.F. Division 3. The Bears are currently ranked 119th in California and 14th in C.I.F. Division 2. Things are certainly heating up in S.G.V.L. play. ST. JOSEPH’S SOFTBALL: St. Joseph’s junior varsity softball team rallied to beat Orange Lutheran, 10-9, on Tuesday. Facing a two-run deficit entering the bottom of the seventh inning, the Jesters’ Julia Magrini smacked a two-run double to tie the score at 9-9. Magrini later advanced to third base. Then with one out, Coach Izzy made the gutsy call for a squeeze bunt. Sophomore Alexis Serrano laid down the perfect bunt and Magrini raced home with the winning run for the Jesters. DOWNEY -- The Downey High School baseball team currently has an overall record of 6-10 and will begin San Gabriel Valley League play next Tuesday when they host Paramount. The Vikings were defeated by Mary Star of the Sea of San Pedro, 2-1, in 11 innings on Monday and were defeated by San Dimas, 6-2, on Tuesday. The Vikings were then scheduled to play a “To Be Determined” opponent on Wednesday (score unavailable at press time). The Vikings have been competing in the St. Paul Tournament over spring break. Downey defeated Schurr of Montebello, 8-2, on March 28 and defeated Serra of Gardena, 7-4, on March 31. Before the loss to Mary Star of the Sea last Monday, the Vikings were enjoying a modest four-game winning streak. Downey will begin league play when they host and travel to Paramount on Tuesday and Friday of next week, respectively. Downey will then host Los Altos of Hacienda Heights on April 16 before their second rotation of league play against Dominguez on April 18 and 20. The Vikings will have their two-game series against cross-town rival Warren the first week in May. Coach Gonzalez, his staff and players are gaining valuable experience during preseason play so they are prepared for the start of league play. Downey finished last season with an overall record of 14-13 and were 6-4 in league play. Downey was eliminated by West Torrance at West Torrance 5-2 in the wild-card round of the C.I.F. Division 3 playoffs. WARREN BASEBALL: The Warren High School baseball team currently has an overall record of 10-4 and will begin S.G.V.L. play when they host Lynwood on Tuesday. The Bears were defeated by Bell at Warren, 4-3, on March 28 and defeated Mayfair at Warren, 8-2, on March 30 in Warren’s home tournament play. Warren is scheduled to play Poly of Sun Valley at Warren on Monday, Lynwood at Warren on Tuesday and Lynwood at Lynwood next Friday to complete the home and away series. The Bears will then travel to Valley Christian next Saturday and will compete in the home and away series against Paramount on April 17 and April 20, respectively. Warren’s much anticipated game against cross-town rival Downey will begin on May 1 at Warren and will conclude May 4 at Downey. Much will be determined in San Gabriel Valley League play after Warren and Downey play each other twice. Coach Pearson, his staff and players are all looking forward to the start of S.G.V.L. play and competing for a league title and playoff spot. The Bears finished last season with an overall record of 19-10 and a league record of 8-2. The Bears defeated Long Beach Poly 3-2 in the wild-card round to advance. Warren was then eliminated by Peninsula at Peninsula 6-2 in the first round of the C.I.F. Division 3 playoffs. WARREN SOFTBALL: The Warren High School girls’ softball team currently has an overall record of 6-4 and will begin San Gabriel Valley League play when they host Lynwood on Tuesday. The Bears defeated Jesuit of Portland, Oregon, 12-2, on March 28 in the Savannah Showcase and are scheduled to play Trabuco Hills tomorrow in their first game of the La Mirada Showcase. Warren will host Paramount at Warren on Thursday, will return to the La Mirada Tournament on April 14th and will host cross-town rival Downey on April 19 in the first of their two scheduled meetings. Warren is also scheduled to compete in the Thousand Oaks Tournament on Saturday, April 21 and Saturday, April 28. The Bears finished last season with an overall record of 21-9 and a league record of 8-2. Warren finished second in league play last season behind league champion Gahr. Downey and Gahr will once again be the teams to beat in league play. Gahr has returning talent from their 2017 league championship team and Downey will utilize the talent of an undefeated junior varsity team in league play last season (10-0). Things will get interesting real quick once league play gets started. The Bears defeated North Torrance at North Torrance 6-3 last season to advance to the second round of C.I.F. Division 2 play. Warren was then defeated by Santa Margarita at Warren 8-0. Coach Starksen, her staff and players are all looking forward to the start of league play and competing for a league title, playoff spot and run in the postseason playoffs. DOWNEY SOFTBALL: The Downey High School softball team currently has an overall record of 9-4 and will begin San Gabriel Valley League play when they host Paramount on April 10. The Lady Vikings defeated Cal High at Downey, 7-5, on March 27 and defeated El Rancho at El Rancho 10-1 on March 29. Downey will play Mira Costa in the La Mirada Tournament on April 7 and will return April 14 for more competition. The Lady Vikings will travel to Dominguez to face the Lady Dons on April 12 and will host Lynwood at Downey on April 17. The Lady Vikings’ varsity team finished last season with an overall record of 14-15, were 4-6 in league play and did not qualify for postseason play. Downey’s junior varsity team finished last season with an overall record of 24-4 and was undefeated in league play (10-0). This season the Lady Vikings look to compete for a league title, a playoff spot and a run in the C.I.F. Division 4 playoffs. Two games to watch out for in league play are when Downey travels to cross-town rival Warren on April 19 and when the Lady Vikings travel to defending league champion Gahr on April 24. Much will be learned after these three teams compete against each other in the first round of league competition. Coach Garcia, his staff and players are all looking forward to the start of S.G.V.L. play. The Lady Vikings are currently ranked 168th nationally, 37th in the state and ninth in Division 4 of the southern section. LOS ANGELES -- The Rams had one of the best defenses in the league last year, but Sean McVay and company were not content with the early playoff exit. It is Super Bowl or bust in McVay’s sophomore season as head coach. 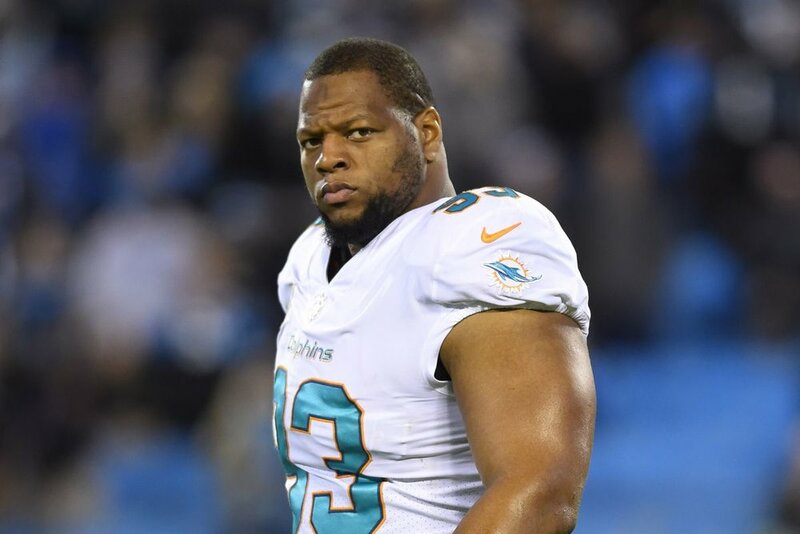 The Rams managed to sign Ndamukong Suh on Tuesday, the best remaining free agent and arguably one of the most feared men in the league, to a one-year, $14 million deal. Suh will join Aaron Donald, the recipient of Defensive Player of the Year honors last season, for at least one year, creating one of the most dominate interior lineman duos of all time. To put it in perspective, only 22 defensive linemen have been made First Team All Pro three times or more in their careers. Suh and Donald each have been selected three times making them the only defensive tackle tandem to ever have at least three on the same team. Suh will also join the newly acquired shutdown corners, Marcus Peters and Aqib Talib in Los Angeles, to create one of the best all-around defenses in the league. Their hope is if Suh and Donald can rush the quarterback, Peters and Talib will be able to pick off poor passes. Rams’ defensive coordinator Wade Phillips will have his hands full keeping his new defensive weapons in check. All three have been criticized at some point in their careers for their polarizing personalities or questionable decisions on and off the field. Each of the superstar signees have had prior incidents both on and off the gridiron. Each have had the quality of their characters called into question, which makes me wonder if the Rams are truly aware of who exactly they are welcoming into their locker room. On paper the Rams look like a sure bet to win the NFC West, but the 49ers have made some dynamic signings ever since last season when they surprised everyone by picking up Jimmy Garoppolo midseason from the Patriots. He will have his hands full trying to compete against these Rams. The Warren High School boys’ volleyball team currently has an overall record of 10-3 and are 2-0 in S.G.V.L. play. The Bears defeated Valley Christian at Warren 3-0 on 3/21 and defeated Lynwood at Warren 3-0 last Thursday. Warren defeated Paramount at Warren 3-0 on Tuesday and played Gahr at Gahr yesterday (score unavailable at press time). The Bears will host cross-town rival Downey at Warren on April 10th in their highly anticipated showdown. Warren competed in the Whittier Christian Tournament March 23rd and 24th. The Bears defeated Whittier Christian 2-0 in their first game on Friday, defeated Perris 2-0 (25-18 and 25-16) in their second game on Friday and were defeated by Thousand Oaks 2-0 (27-26 and 25-16) in their third game on Friday. Warren was defeated by St. Margaret’s 2-0 (25-10 and 25-13) in their fourth game last Saturday, defeated Bishop Amat 2-0 (25-17 and 25-16) in their fifth game on Saturday and defeated Santa Fe 2-0 (25-20 and 25-21) in their sixth and final game, also last Saturday. Coach Lane, his staff and players are looking forward to league play and competing for a spot in C.I.F. postseason play. Warren finished last season with an overall record of 14-7 and a S.G.V.L. record of 9-1. Warren is the 2017 defending S.G.V.L. champion. The Bears were defeated by San Marcos of Santa Barbara 3-0 (25-23, 25-22 and 25-18) in the first round of the C.I.F. Division 2 playoffs. Downey Boys Volleyball: The Downey High School boys’ volleyball team currently has an overall record of 7-3 and began S.G.V.L. play last Thursday against Paramount at Downey. The Vikings also hosted Lynwood at Downey yesterday (score unavailable at press time). Downey competed in the Las Vegas Invitational March 9th and 10th. The Vikings defeated Green Valley 2-0 (25-20 and 25-14) in their first game on 3/9 and defeated Mission Hills 2-0 (25-22 and 25-19) in their second game, also on 3/9. Downey defeated Coronado 2-0 (25-22 and 25-16) in their third game on 3/10, was defeated by Centennial 2-0 (25-20 and 25-23) in their fourth game on 3/10 and was defeated by Granite Bay 2-0 (25-17 and 25-20) in their fifth and final game, also on 3/10. The Vikings will travel to cross-town rival Warren on April 10th in their highly anticipated match against the Bears. Downey is currently ranked 69th in California, according to Maxpreps.com. Coach McCarthy, his staff and players are all looking forward to league play and competing for a C.I.F. postseason playoff spot. The Vikings finished last season with an overall record of 20-11 and finished league play with a record of 7-3. Downey was defeated in the C.I.F. Division 4 championship game against La Palma Kennedy at Cerritos College 3-2 (25-18, 22-25, 25-18, 16-25 and 15-9). Downey Baseball and Softball: The Downey High School baseball team currently has an overall record of 4-8 and will begin S.G.V.L. play when they host Paramount at Downey on April 10th. The Vikings defeated Long Beach Poly at Downey 9-1 on 3/14, were defeated by John Glenn at Downey 4-0 on 3/16 and defeated Bellflower at Bellflower 5-0 on 3/19. Downey defeated Marina at Downey 8-7 on Monday and will compete in the St. Paul Tournament March 28th through April 4th. The Vikings played Schurr on Wednesday (score unavailable at press time) and will play Serra tomorrow. Downey is scheduled to play Mary Star of the Sea on Monday and have two undetermined opponents scheduled for Tuesday and Wednesday based on the results of the first three scheduled games. Coach Gonzalez, his staff and players are all looking forward to the start of league play and competing for a postseason playoff spot. The Downey High School girls’ softball team currently has an overall record of 8-4 and will begin S.G.V.L. play when they host Paramount at Downey on April 10th. The Lady Vikings defeated Cal High 7-5 on Tuesday at Downey and traveled to El Rancho yesterday to face the Lady Dons (score unavailable at press time). Downey will travel to La Mirada for tournament play on April 7th and 14th, will travel to Dominguez on April 12th and will host Lynwood at Downey on April 17th. Coach Garcia, his staff and players are all looking forward to the start of league play and competing for a postseason playoff spot. Warren Baseball and Softball: The Warren High School baseball team currently has an overall record of 9-3 and will begin S.G.V.L. play when they host Lynwood at Warren on April 10th and when they travel to Lynwood on April 13th to complete the home and away, two game series. The Bears competed in the Babe Herman Tournament March 17th-21st. Warren defeated Summit 3-2 in eight innings on 3/17, was defeated by El Camino Real 10-2 on 3/19, was defeated by San Dimas 5-3 on 3/20 and played Pasadena on 3/21. The Bears defeated Roosevelt 1-0 in the Poly Classic last Saturday, played Bell on Wednesday and hosted Mayfair at Warren yesterday (scores unavailable at press time). Coach Pearson, his staff and players are all looking forward to the start of league play and competing for a postseason playoff spot. The Warren High School girls’ softball team currently has an overall record of 5-4 and will begin S.G.V.L. play when they host Lynwood at Warren on April 10th. The Bears split a doubleheader with Kennedy by winning the first game 5-2 and by losing the second game 14-1 on 3/20. Warren played La Serna at Warren on 3/22 and played Jesuit of Portland, Oregon on Wednesday in the Savannah Showcase (scores unavailable at press time). The Bears are scheduled to compete in the La Mirada Tournament on April 7th and 14th. Warren will host Paramount at Warren on April 12th and will host cross-town rival Downey at Warren on April 19th. Coach Starksen, her staff and players are all looking forward to the start of league play and competing for a postseason playoff spot. DOWNEY – The Downey High School girls’ lacrosse team currently has an overall record of 4-1 and are 2-0 in Ocean League play. In preseason play, the Lady Vikings defeated Westridge at Westridge 12 -11 on March 1, were defeated by Crescenta Valley, 8-5, on March 7 and defeated Murrieta Mesa, 9-8, on March 10. In league play, the Lady Vikings defeated Beverly Hills, 17-2, on March 14 and defeated Culver City at Downey, 12-8, on March 16. Downey played Peninsula at Downey on Tuesday night in a non-league game and played El Segundo at Downey on Wednesday night (score unavailable at press time). The Lady Vikings will travel to Santa Monica in another league game later today. The Ocean League consists of Marlborough, Downey, Culver City, Beverly Hills and Santa Monica. The Lady Vikings do not compete in San Gabriel Valley League play because they are the only school from the S.G.V.L. that fields a team. Downey finished last season with an undefeated Ocean League record and are the defending 2017 league champions. Coach Mires, his staff and players are all looking forward to finishing Ocean League play undefeated. WARREN BOYS BASKETBALL: The Warren High School boys’ volleyball team currently has an overall record of 5-1 and began S.G.V.L. play when they hosted Lynwood at Warren yesterday (score unavailable at press time). The Bears will host cross-town rival Downey at Warren on April 10. The Bears defeated Bellflower at Warren in three sets 25-15, 25-16 and 25-13 on Feb. 27. Warren was defeated in a nail-biter by Santa Fe at Warren in five sets 25-22, 22-25, 21-25, 25-21 and 15-12 on March 8. Warren bounced back by defeating Bell Gardens at Bell Gardens in five sets on March 13 and defeated Cypress in four sets on March 15. The Bears hosted Valley Christian Wednesday in their final tune-up before the start of league play (score unavailable). Warren finished last season with an overall record of 14-7 and a S.G.V.L. record of 9-1. Warren’s only league loss last season was to Gahr at Gahr. The Bears are the 2017 defending S.G.V.L. champions. Warren was defeated by San Marcos of Santa Barbara at Warren in three sets 25-23, 25-22 and 25-18 in the first round of the C.I.F. Division 2 playoffs last season. Coach Lane, his staff and players are all looking forward to the start of league play and are looking forward to making a deeper run in the Division 2 playoffs. DOWNEY BOYS SWIMMING: The Downey High School boys’ swim team is off to another fast start. The Vikings are currently 5-0 overall and will begin league competition next week. Thus far, Downey has defeated Santa Fe 139-33, Cal High 139-29, Whitney 128-22, La Serna 118-52 and Cerritos 91-79. Downey was scheduled to swim against Kennedy yesterday (score unavailable at press time). This year’s team is led by seniors Andrew Cabrera, Werner Rosales, Humberto Banuelos and Matt Farias. This year’s juniors include: Jesus Marguia, Christian Gonzalez, Nathan Lopez and Jose Salazar. Two key freshmen making varsity contributions are Armando Flores and Tomas Marquez. Many of Downey’s swimmers are determined to beat their C.I.F. times from last season. Coach Delhousay believes this swim team may be the strongest Downey has had in recent years. Delhousay maintains, “there is a great combination of returning veterans and new swimmers” in this competitive group. The Vikings’ main competition will come from cross-town rival Warren. Downey will face the Bears at Warren on April 26, with S.G.V.L. prelims and finals following at Warren on Tuesday, May 1 and Thursday, May 3, respectively. Coach Delhousay, his staff and swimmers are all looking forward to the start of S.G.V.L. competition and claiming another league championship. PIUS-MATTHIAS BOYS VOLLEYBALL: The St. Pius X-St. Matthias Academy boys’ volleyball team currently has an overall record of 2-13 and will begin Santa Fe League play against Bellarmine-Jefferson of Burbank on April 12. The Warriors were defeated by Mayfair at SPXSMA in three sets 25-15, 25-20 and 25-18 on Feb. 26. SPXSMA competed in the Ambassador Scramble Tournament on March 3 where they played eight other teams in back-to-back contests. A scramble tournament is when you play several schools in a one set competition up to 25. The Warriors were defeated by Upland 25-11 at 8:15 a.m., were defeated by Ambassador 25-21 at 9:15 a.m., defeated CAMS 25-18 at 10 a.m., were defeated by New Roads 25-21 at 10:30 a.m., were defeated by Chadwick 25-15 at 11:45 a.m., were defeated by Wiseburn-Da Vinci 25-17 at 12:15 p.m., were defeated by Mary Star of the Sea 25-14 at 1:00 p.m. and were defeated again by Chadwick 25-19 at 1:30 p.m. in the fifth place game. SPXSMA was defeated by Culver City at SPXSMA in three sets 25-15, 25-20 and 25-11 on March 5 and was defeated by St. Paul at St. Paul in four sets on March 7. The Warriors most recently competed in the Foothill Tournament on March 9 and 10. SPXSMA was defeated by Damien in two sets 25-10 and 25-6 and was defeated by University in two sets 25-8 and 25-9. The Warriors were defeated by San Juan Hills in two sets 25-12 and 25-8 and were then defeated by Fountain Valley in two sets 25-8 and 25-18. The Warriors hosted Artesia at SPXSMA on Tuesday night (score unavailable at press time). Coach Miguel Flores, his staff and players are all looking forward to the start of Santa Fe League play. MIDDLE SCHOOL SPORTS: The fourth rotation of baseball and softball for middle school sports has concluded and four more city championships have been claimed. Griffiths won three of the four championships. The Indians won city championships in varsity and junior varsity baseball and varsity softball. The Griffiths varsity baseball team finished in first place with a record of 5-1, Doty finished in second place with a record of 3-3, Stauffer finished in third place with a record of 2-3-1 and Sussman finished in fourth place with a record of 1-4-1. The Griffiths junior varsity baseball team finished in first place with a record of 6-0, Doty and Stauffer finished in a tie for second place with records of 3-3 and Sussman finished in fourth place with a record of 0-6. The Griffiths varsity softball team finished in first place with a record of 6-0, Doty finished in second place with a record of 4-2, Sussman finished in third place with a record of 2-4 and Stauffer finished in fourth place with a record of 0-6. The Doty junior varsity softball team finished in first place with a record of 5-0-1, Griffiths finished in second place with a record of 4-1-1, Stauffer finished in third place with a record of 2-4 and Sussman finished in fourth place with a record of 0-6. The fifth and final rotation of track and field will begin on April 26. There will be two more dual meets on May 3 and May 10 with the all-city track and field meet taking place on Friday, May 18, at Downey High School. DOWNEY -- The Downey sixth grade DJAA basketball team won the SCMAF Tournament in Inglewood last week, advancing to the state championship tournament this weekend. Downey defeated Cerritos and Lynwood on March 17 to advance to the title game against Lakewood on March 18. Downey came out victorious, beating Lakewood, 22-20. Top row, from left: Coach Joel Barraza, Zyad Elbialy, Oliver Lindahl, Brandon Valencia, coach Richard Barraza, Andrew Cerros and Joshua Rodriguez. Bottom row, from left: Ilan Arias, Anthony Gurrola, Kal-El Barraza, Eric Duron, Mario Velasquez and Jose Trujillo. Not pictured: coach Armando Valencia. DOWNEY – The Downey High School girls’ basketball team saw their season come to an end last Saturday night at Downey against Cathedral Catholic of San Diego, 50-48, in the second round of the 2018 C.I.F. Division 2 State Championships. The Lady Vikings finished their season with an overall record of 26-7 and a S.G.V.L. record of 8-2. Downey finished their season as C.I.F. Division 2A Finalists and in second place in S.G.V.L. play behind league champion Lynwood. The Lady Vikings were defeated by Glendora at Azusa Pacific University, 47-35, on March 2 in the C.I.F. Division 2A championship game but qualified for the C.I.F. Division 2 State Girls Basketball Championships with their string of wins in postseason play. Downey defeated Westview of San Diego at Westview, 59-51, in the first round of state championship play on 3/7 to advance to the second round. In that game, the Lady Vikings trailed 19-16 at the end of the first quarter and 29-27 at halftime. Downey outscored Westview 11-7 in the third quarter and led 40-38 as the quarter came to an end. The Lady Vikings outscored Westview 19-13 in the fourth and final quarter and came away with the hard-fought 59-51 win. The Lady Vikings were then eliminated last Saturday night at Downey against Cathedral Catholic. In the Downey/Cathedral Catholic game, the Lady Vikings trailed at the end of the first quarter 12-8. Downey rallied back in the second quarter and took a 21-16 lead into the locker room at halftime. The Lady Vikings were outscored 20-8 in the third quarter and trailed 36-29 as the quarter came to an end. Downey outscored Cathedral Catholic 19-14 in the fourth quarter but fell short, 50-48. Coach Harris, his staff and players are all disappointed with how their last game ended. However, many of this year’s players are underclassmen and will be back next year to make a deeper run. This was an excellent season for the Lady Vikings and they should feel proud of how well they played and how hard they competed. WARREN GIRLS BASKETBALL: The Warren High School girls’ basketball team saw their season come to an end last Wednesday night against Legacy High School of South Gate at Warren, 74-73, in overtime in the first round of the C.I.F. Division 3 State Girls Basketball Championships. The Lady Bears finished their season with an overall record of 20-11 and a S.G.V.L. record of 6-4. Warren defeated Cabrillo, 47-42, in overtime at Colony High School in Ontario on March 3 to claim the C.I.F. Division 3AA title and qualify for the state tournament. In the Warren/Legacy game, Legacy jumped out to a 31-21 lead as the first quarter ended. Warren outscored Legacy 8-7 in the second quarter but still trailed 38-29 going into the locker room at halftime. The third quarter was action packed as Warren outscored Legacy 26-25 but still trailed by eight points going into the fourth quarter. The Lady Bears tied the score in the fourth quarter and forced overtime. The two teams battled back and forth in overtime. Warren took the lead at 73-71 with 3.7 seconds left and Legacy needed to go the length of the court to score. That is exactly what Legacy’s Arianna Harper did. Harper drove the length of the floor, drew the foul and made the free throw to give the Lady Tigers the 74-73 lead with .3 to play. Harper’s final three points gave her 35 points for the game and helped seal the win for Legacy. The Bears inbounded the pass but that was all they could do as the clock expired and Legacy claimed the hard fought, 74-73 overtime win. WARREN BASEBALL: The Warren High School baseball team currently has an overall record of 6-1 and will begin San Gabriel Valley League play when they host Lynwood at Warren on April 10. Warren swept Hoover, 13-0 and 11-1, on 2/27 in a doubleheader at Warren. The Bears defeated Magnolia, 18-5, on 3/1, defeated Rancho Alamitos, 12-0, on 3/3 and were defeated by Santa Ana at Warren, 7-6, in nine innings on 3/5. Warren defeated Estancia at Estancia, 13-2, on 3/7 and defeated Savanna at Warren, 10-2, on 3/9. The Bears were scheduled to play El Rancho on Tuesday afternoon but the game was postponed due to the rain. The two teams played on Wednesday (score unavailable at press time). Warren finished last season with an overall record of 19-10 and a S.G.V.L. record of 8-2. The Bears were eliminated last season in the first round of the C.I.F. Division 3 playoffs by Peninsula at Peninsula 6-2 after winning their wild card game against Long Beach Poly 3-2. WARREN SOFTBALL: The Warren High School softball team currently has an overall record of 4-2 and will begin San Gabriel Valley League play when they host Lynwood on April 10. The Bears have played three games in the Savannah Tournament. Warren defeated San Clemente, 2-1, on 2/24, were defeated by Woodbridge, 4-3, on 2/24 and defeated Fullerton, 4-0, on 3/9. Warren finished last season with an overall record of 21-9 and a S.G.V.L. record of 8-2. The Bears were eliminated in the second round of the C.I.F. Division 2 playoffs by Santa Margarita at Santa Margarita 8-0. Warren was scheduled to play Millikan on Tuesday but no result or information was made available. Coach Starksen, her staff and players are all looking forward to the start of league play. DOWNEY BASEBALL: The Downey High School baseball team currently has an overall record of 1-7 and will begin San Gabriel Valley League play when they host Paramount on April 10. The Vikings are currently 0-3 in the Downey Tournament (Feb. 24-26 and March 12-14) and were 1-5 in the Loara Tournament (March 1-9). The Vikings were defeated by La Mirada, 6-2, on 2/24, were defeated by Cantwell-Sacred Heart, 3-0, on 2/26, were defeated by Edison, 4-0, on 3/1 and were defeated by Cypress, 8-1, on 3/3. Downey was defeated by Canyon, 3-0, on 3/6, was defeated by Ocean View, 2-1, on 3/8, defeated Anaheim, 6-0, on 3/9 and was defeated by Pacifica, 7-1, on Monday. The Vikings hosted Long Beach Poly at Downey on Wednesday in their fourth and final game of the Downey Tournament (score unavailable at press time). DOWNEY SOFTBALL: The Downey High School softball team currently has an overall record of 7-4 and will begin San Gabriel Valley League play when they host Paramount on April 10. The Lady Vikings defeated St. Paul, 6-4, on 2/24, defeated Walnut, 17-2, on 2/24, defeated Sunny Hills, 8-1, on 3/1 and swept Lakewood at Lakewood in a doubleheader, 9-5 and 6-3, on 3/6. Downey competed in the Tournament of Champions in Bullhead City, Arizona, March 8-10. The Lady Vikings finished that tournament with a record of 2-3. Downey was defeated by Pacifica, 6-2, on 3/8, was defeated by Cienega of Vail, Arizona, 2-0, on 3/9, defeated Flagstaff, Arizona, 11-0, on 3/9, was defeated by Coronado of Henderson, Nevada, 4-3, on 3/10 and defeated River Valley of Arizona, 3-0, on 3/10. Downey was defeated by La Habra at La Habra on Tuesday, 7-6. Coach Garcia, his staff and players are all looking forward to the start of league play. DOWNEY -- Downey FC 2005 Boys are the State Cup champions, winning the title after finishing the regular season undefeated in their first year as a club. The boys won the Cal South regular season without a loss, qualifying them for the State Cup, a tournament of 256 of the best soccer clubs in California. Only first place teams from their areas qualify for the State Cup. The first few rounds were in Temecula to narrow the field down to 128, then 64. The next week was in Lancaster, where the boys defeated FC Premier, 7-0; then P2KS L.A., 3-0, in the round of 16; then Pateadores SC, 6-0, in the round the of 8. The last two games were also played in Temecula, with Downey defeated BF310 Galaxy, 2-1, in penalty kicks in the Final Four, and then International Futbol Club, 3-0, in the championship game. Downey FC scored 21 goals and allowed only one in the last five rounds of the tournament. “The boys played wonderfully, representing our city with great sportsmanship and pride,” Downey coaches said. Top row, from left: Coach Rolando Gonzalez, Daniel Castillo, Christian Fausto, Sebastian Figueroa, Joseph Jaimes, Joshua Jaimes, Diego Gonzalez, Jorge Perez, Christopher Almaguer, Samuel Chukwurah, Head Coach Jose Jaimes. Bottom row: Andrew Gonzalez, Anthony Cardenas, Adrian Diaz, Andrei Pater, Ethan Gonzalez, Jesse Ramirez, Julio Jimenez, Nikko Viramontes. Not pictured: Ramiro Sanchez and Team Manager Christina Almaguer. The Los Angeles Rams made another major move Wednesday, trading away linebacker Alec Olgetree, along with a 2019 seventh-round draft pick, to the New York Giants for their 2018 fourth and sixth-round draft picks. Ogletree is a tackling machine but signed a huge four-year contract last October, forcing the Rams to deal him in order to clear up some cap space, most likely to splurge on free agents and resign other key players who are trying to get paid. 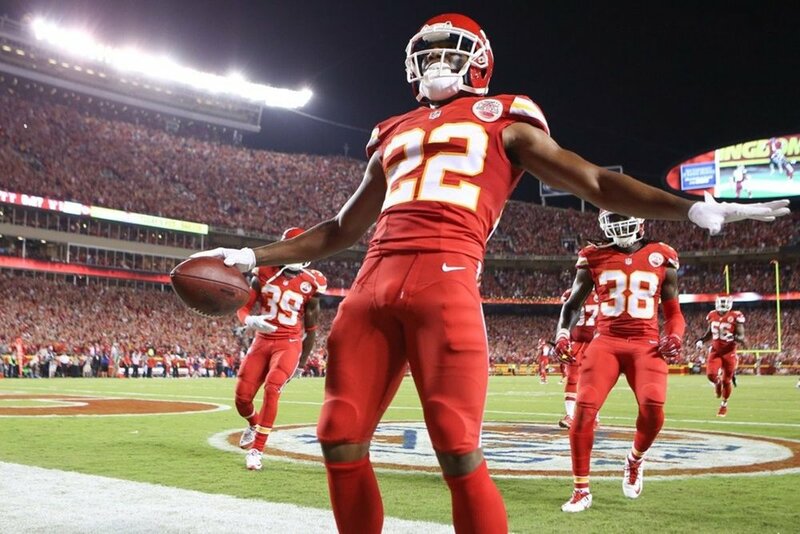 The Rams picked up cornerback Marcus Peters from the Chiefs for practically nothing a couple weeks ago, though the transaction cannot be made official until the new league year begins next week. The Chiefs reportedly called every team in the league to rid themselves of the problematic Peters. He has had disciplinary issues in the past, including a game last year when he completely lost his head and threw a penalty flag into the stands before storming into the locker room, even though he had not been ejected. Peters is too great of a talent to give up on just yet. I like the fact that McVay is taking a gamble on him with only two years left on his contract. Between the fiery young coach and the steady hand of the seasoned Wade Philips, I think they could turn his career around and keep him on track to be a generational talent at the corner position. Their biggest enemy will be Los Angeles and everything that comes along with the territory. They will need to keep Peters off the streets and at home by curfew. They will need to spend a little extra energy keeping him in check but I believe it will be worth the effort. He has a tendency to get distracted and allow himself to put himself before his team. They must understand that when they welcome him into their locker room. Andy Reid was too soft to keep him in line. McVay and Philips must keep him in line for the defense to depend on him. Picking up Peters most likely means shutdown cornerback Trumaine Johnson will be packing his bags. There are rumors that the Rams are going to be dealing passing rushing phenom Robert Quinn in hopes of resigning Aaron Donald who earned a big contract from his spectacular performance last year. DOWNEY – The Warren High School girls’ basketball team defeated Cabrillo, 47-42, in overtime in the C.I.F. Division 3AA championship game at Colony High School last Saturday afternoon. With the win, the Lady Bears improved to 20-10 on the season. The Lady Bears led 11-10 at the end of the first quarter but trailed 21-17 at halftime. Cabrillo outscored Warren 7-4 in the third quarter and led, 28-21, after three quarters of play. The Lady Bears outscored Cabrillo, 18-11, in the fourth quarter to force overtime with the score tied at 39. Warren outscored Cabrillo 8-3 in overtime to claim the C.I.F. 3AA title. The Lady Bears were led by Kaeani Berry’s 20 points and Frances Potts’ 12 points. Berry scored five consecutive points for Warren in overtime and in the process sealed the win for the Lady Bears. For her efforts, Berry was selected as the player of the game against Cabrillo and also earned the Long Beach Press Telegram’s SoCal Prep Legends girls’ athlete of the week honor for this week. Coach Rachel Palmer, her staff and players are all looking forward to competing in the C.I.F. Division 3 State Basketball Championships. In the first round of the CIF Southern California Division III Regionals on Wednesday, Warren came up short, losing 74-73 in an overtime thriller against Legacy of South Gate. Cyrena Chavers scored 27 points for the Bears, who were competing in their fourth consecutive overtime game. Kaeani Berry added 18 points and 21 rebounds. DOWNEY GIRLS BASKETBALL: The Downey High School girls’ basketball team was defeated by Glendora, 47-35, at Azusa Pacific University in the C.I.F. Division 2A championship game last Saturday night. With the win, Glendora improved to 31-0 on the season and with the loss, Downey fell to 25-6. In the Downey/Glendora game the Lady Vikings trailed 14-6 at the end of the first quarter and 28-12 at halftime. The Lady Vikings outscored Glendora in the third quarter, 12 -10, and again in the fourth quarter, 11-9. The first half deficit proved too much and the Lady Vikings were playing catch-up the entire second half. Surie Camacho led all Downey scorers with 17 points and was selected as Downey’s player of the game. Ilani Avila chipped in and scored seven points and was Downey’s second-leading scorer. Downey traveled to Westview of San Diego on Wednesday to play the Lady Wolverines in the 2018 C.I.F. Division 2 State Girls Basketball Championship (score unavailable at press time). Downey is the number seven seed and Westview is the number three seed, respectively, on their side of the bracket. Coach Harris, his staff and players are all looking forward to extending their postseason. Westview is 20-8 overall and was 9-1 in Palomar League play. The Lady Wolverines are the 2018 Palomar League champions. Westview was defeated by Santa Fe Christian of Solana Beach 65-48 last Thursday night. The winner of the Downey/Westview game will play the winner of the Lynwood/Cathedral Catholic winner on Saturday. Lynwood is the number two seed and Cathedral Catholic is the number 15 seed. PIUS-MATTHIAS GIRLS BASKETBALL: The SPXSMA girls’ basketball team was defeated by Grace Brethren at SPXSMA last Saturday morning, 59-33, in the C.I.F. Division 5AA championship game. With the win, the Lady Lancers improved to 24-3 overall. Grace Brethren was 14-0 in Frontier League play and is the 2018 Frontier League champion. In the SPXSMA/Grace Brethren game, the Lady Lancers got out to an early lead and never looked back. Grace Brethren led 13-5 at the end of the first quarter and 29-10 at halftime. The Lady Lancers picked up in the third quarter where they left off in the second quarter. Grace Brethren outscored the Lady Warriors 15-11 in the third quarter and led 44-21 at the end of three quarters of play. Grace Brethren outscored SPXSMA, 15-12, in the fourth quarter and came away with the 59-33 win and the C.I.F. Division 5AA title. SPXSMA played Gardena on Wednesday night in the first round of the state tournament (score unavailable at press time). The Lady Warriors are the number five seed and Gardena (14-16, 5-7) is the number 12 seed. The winner of this game will play the winner of the Grace Brethren/Math and Science College Prepatory game on Saturday. Grace Brethren is the number four seed and Math and Science College Prepatory is the number 13 seed on their side of the same bracket, respectively. DOWNEY WRESTLING: The Downey High School wrestling team sent three wrestlers to the state meet at Rabobank Arena in Bakersfield last weekend. Returning state champion Jonathan Prata (106), Dilan Ajtun (113) and Roland Dominguez (120) all competed in their respective weight classes. Prata finished third with a record of 5-1, Ajtun finished eighth with a record of 3-3 and Dominguez did not place and finished with a record of 0-2. Prata defeated Wyatt Bedrosian of Coalinga 6-2 in the first round, defeated Evan Ivaldi of Del Oro 6-2 in the second round and defeated Hunter Leake of Buchanan 9-0 in the third round. Prata was defeated by eventual state champion Richard Figueroa of Selma in the fourth round, defeated Blake Frederickson of Windsor by pin at the :25 mark of the first period in the fifth round and defeated Justin Mouritsen of Clovis by pin at the :35 mark of the first period in the sixth and final round to claim third place. Ajtun defeated Angel Nava of Delano by pin at the 5:15 mark of the third period in the first round, defeated Caydin Wickard of Golden Valley 10-8 in the second round and was defeated by Antonio Lorenzo of St. John Bosco in the third round. Ajtun defeated Mario Moreno of Madera 11-4 in the fourth round, was defeated by Tristan Lujan of Selma 9-1 in the fifth round and defaulted against Eric Sanchez of Silver Creek in the sixth and final round to claim eighth place. Interestingly, Ajtun’s three losses came to Antonio Lorenzo who placed third, Tristan Lujan who placed fourth and Eric Sanchez who placed seventh. Dominguez was defeated by Brandon Paulson of Clovis 11-2 in the first round and was defeated by Edison Alanis of Franklin in the second round. After his two losses, Roland Dominguez was eliminated from competition. Overall, Downey tied for 25th place in the state meet with Bullard and Bishop Amat with 33 points each. Buchanan finished first with 219 points, Gilroy finished second with 180 points, Poway finished third with 171.5 points, Selma finished fourth with 168 points and Clovis finished in fifth place with 121.5 points, respectively. DOWNEY – Downey Youth Football, also known as the Downey Razorbacks, will hold registration for its upcoming 58th season at Back-to-Football Night this Wednesday, March 14, at 7 p.m. at the Rio Hondo Event Center. The league offers football (flag and tackle) and cheerleading for boys and girls ages 5-14. Registration fee includes trophy, league picture package, yearbook, and game socks. Equipment is provided on loan. Payment plans are available and students can sell raffle tickets to offset the cost of registration. No child is turned away due to cost. Practice starts July 30 and the first game is Sept. 8. Home games are played at Downey and Warren high schools. For more information, or if you are interested in coaching, call Louis Morales, president of Downey Razorbacks, at (310) 350-0220 or go to downeyrazorbacks.com. The Master’s Meet featured the best wrestlers in southern California trying to earn their way to the state meet in Bakersfield this weekend at the Rabobank Arena. Downey placed fifth overall at the Master’s Meet with a total of 79 points. St. John Bosco finished first with 208 points, Northview finished second with 122 points, Santiago finished third with 114 points and Temecula Valley finished fourth with 85.5 points, respectively. The Vikings had five wrestlers qualify for the Master’s Meet. All five wrestlers placed in the top 12 of their respective weight classes but only three advanced to the state meet. Defending state champion Jonathan Prata placed first at 106 pounds. Prata finished the tournament with a record of 5-0 and defeated Bobby Pinto of Northview via technical fall (18-2) in the final. Dilan Ajtun (113) placed sixth after being defeated by Easton Amuro of Santa Ana Calvary Chapel due to an injury. Ajtun finished the Master’s Meet with a record of 4-3. Roland Dominguez (120) placed fourth after being defeated by Christian Nunez of St. John Bosco 6-1. Dominguez finished the Master’s Meet with a record of 5-2. Matthew Morales (126) narrowly missed qualifying for the state meet after he was defeated by Ethan Gould of Esperanza and finished tenth. Morales finished the Master’s Meet with a record of 3-3. Adrian Guerra (220) finished 12th after he and Elias Zepeda of Pioneer Valley decided not to wrestle their last match. The top nine wrestlers in each weight class advance to the state meet. Matthew Morales, with his tenth place finish, will serve as an alternate. WARREN GIRLS BASKETBALL: The Warren High School girls’ basketball team advanced to the C.I.F Division 3AA Final with a 63-59 win against Culver City at Warren last Saturday night. The Lady Bears are scheduled to play Cabrillo of Lompoc (26-2) tomorrow for the title. The Lady Bears defeated St. Joseph’s of Lakewood at St. Joseph’s 52-45 in the first round of the Division 3AA playoffs, defeated Corona del Mar at Corona del Mar 47-20 in the second round on 2/17, defeated Long Beach Wilson at Warren 53-48 in the third round on 2/21, defeated Culver City at Warren 63-59 on 2/24 in the fourth round and play Cabrillo tomorrow at 4 p.m. in the championship game at Colony High School in Ontario. The Lady Bears currently have an overall record of 19-10 and finished S.G.V.L. play with a record of 4-6. Warren (3AA), cross-town rival Downey (2A) and St. Pius X-St. Matthias Academy (5AA) are all playing for C.I.F. championships this weekend. DOWNEY GIRLS BASKETBALL: The Downey High School girls’ basketball team advanced to the C.I.F. Division 2A Final with a 58-43 win against Righetti at Righetti last Saturday night. The Lady Vikings are scheduled to play Glendora (30-0) at Azusa Pacific University later tonight for the Division 2A title. Downey defeated Murrieta Valley at Downey 67-26 in the first round on 2/15, defeated Westminster at Westminster 52-39 in the second round on 2/17, defeated Arroyo Valley at Downey 61-47 in the third round on 2/21 and defeated Righetti at Righetti 58-43 in the fourth round to advance. The Lady Vikings currently have an overall record of 25-5 and finished S.G.V.L. play with a record of 8-2. DOWNEY BOYS SOCCER: The Downey High school boys’ soccer team saw their season come to an end last Saturday against Loyola at Downey, 2-0. Downey defeated Fountain Valley at Downey 1-0 in the first round of the C.I.F. Division 1 playoffs on 2/16 and defeated Mission Viejo at Mission Viejo 0-0 3-0 PK’s in the second round on 2/21. The Vikings finished their season with an overall record of 14-7-5 and a S.G.V.L. record of 7-1-2. Downey is the 2018 San Gabriel Valley League champion. DOWNEY GIRLS WATER POLO: The Downey High School girls’ water polo team saw their season come to an end with a 9-8 loss against Sherman Oaks Notre Dame last Saturday night at the Wollett Aquatic Center in Irvine. Downey was leading 2-0 at the end of the first quarter and was tied 4-4 at halftime. Sherman Oaks Notre Dame scored three goals in the third quarter and led 7-4 as the quarter came to an end. The Lady Vikings rallied back and evened the score at seven early in the fourth quarter. Shortly thereafter, SO-ND took an 8-7 lead with time winding down. Downey then tied the game at eight goals each with two minutes to play. SO-ND scored a late goal and held on for the hard-fought, 9-8 win. Downey defeated Hillcrest at Downey 16-2 in the first round of the C.I.F. Division 5 playoffs on 2/14, defeated Beaumont at Beaumont 13-8 in the second round on 2/15, defeated Santa Ana Valley at Downey 12-7 in the third round on 2/17, defeated Sunny Hills at Warren 12-9 in overtime in the fourth round on 2/21 and were defeated by Sherman Oaks Notre Dame 9-8 in the C.I.F. Division 5 Final last Saturday night. The Lady Vikings finished their season with an overall record of 28-5 and a S.G.V.L. record of 5-0. Downey is the 2018 San Gabriel Valley League champion. WARREN HIGH BOYS SOCCER: The Warren High School boys’ soccer team saw their season come to an end against San Clemente at Warren, 1-0, last Saturday night. The Bears defeated Harvard -Westlake at Warren 1-0 in the first round on 2/16, defeated Servite at Servite 2-1 in the second round on 2/21 and were defeated by San Clemente in the third round. The Bears finished their season with an overall record of 12-8-4 and a S.G.V.L. record of 7-2-1. The Bears were the number two entry from the San Gabriel Valley League in the Division 1 playoffs behind cross-town rival Downey, respectively. WARREN WRESTLING: The Warren High School wrestling team sent six wrestlers to the Master’s Meet at Temecula Valley High School last weekend. Carlos Vasquez (106), Salvader Alvarez (113), Joshua Mendoza (126), Matthew Lopez (132), Alan Dillon (145) and Carlos Durazo (152) all qualified but did not advance to the state meet at Rabobank Arena in Bakersfield this weekend. PIUS-MATTHIAS GIRLS BASKETBALL: The St. Piux X-St. Matthias Academy girls’ basketball team advanced to the C.I.F. Division 5AA Final tomorrow morning with their 39-37 win against Anaheim last Saturday night. The Lady Warriors defeated AGBU/ Pasadena at SPXSMA in the first round on 2/15, defeated Nordhoff at Nordhoff 38-35 in the second round on 2/17, defeated Hesperia Christian at Hesperia Christian 49-32 in the third round on 2/21 and defeated Anaheim at SPXSMA on 2/24 in the fourth round to advance. The Lady Warriors will play Grace Brethren (22-3) at 10:00 a.m. at Godinez High School in the Division 5AA Final. SPXSMA currently has an overall record of 14-13 and finished Santa Fe League play with a record of 5-3.